The coastal town of Bentota is located along the southwestern shores of Sri Lanka. A popular tourist attraction, the town offers myriad watersports, stunning beachfront vacation rentals and cultural attractions. 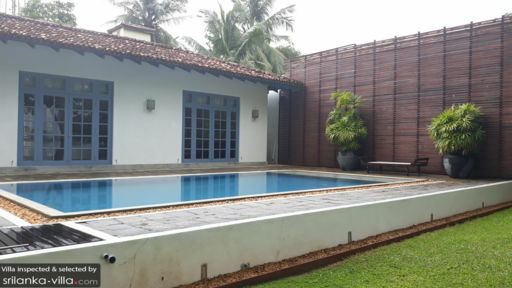 Your Bentota villa looks out to a picture-perfect setting, impeccable service and a full range of modern amenities. Cool down with a dip in the sparkling pool, soak up the tropical vibes out in the garden or unwind in one of the the beautifully appointed living spaces. Families and couples alike will appreciate the serene surroundings, and the sense of privacy that each villa offers. With a reputation for being the water sports capital in Sri Lanka, Bentota is great for speed boat and jet ski riding, windsurfing, speed boat and jet ski riding, wind surfing, wakeboarding, water skiing and kite surfing. Families will enjoy spending the day out at Bentota Beach; its clean, wide coast, spectacular scenery and tranquil ambience makes it an ideal venue for relaxing strolls. We’d also recommend visiting high-end spa parlours like Sahana Spa at Saman Villas or Jiva Spa to experience top-notch treatments like Ayurvedic spa rituals, body wraps, massages and aromatherapies. Plan a sightseeing trip around attractions like Richmond Castle, a gorgeous Edwardian mansion set within a sprawling garden. 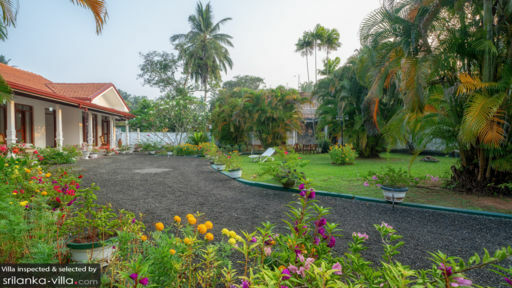 Brief Garden, developed by Sri Lankan landscape artist Bevis Bawa, boasts well-landscaped grounds and a home displaying murals, artworks, statues and sculptures. Lunuganga Garden, the country home of renowned architect Geoffrey Bawa is worth a visit for its lush, picturesque garden. Located further out from the town are points of interests/ like Galle Fort (a historic walled city with charming colonial buildings, restaurants, shops and cafes), Mirissa Beach (a scenic coast popular among vacationers) and Mirissa Harbour, the point of departure for travellers heading out for a whale watching tour. When you’re not enjoying in-villa dining experiences, dine out at venues like Bentota Lake Restaurant (a lakeside venue with a postcard-perfect garden setting), Randholee (diners come here for the delicious Indian and Sri Lankan fare), The Villa Cafe (curries and local dishes feature milder flavours and spice levels to cater to the preferences of travellers) and Malli’s Seafood Restaurant, a well-appointed venue dishing out tasty seafood fare.